Set in the Far East with particular emphasis on the Second World War, this native longhouse provides numerous possibilities for the modeler and wargamer. 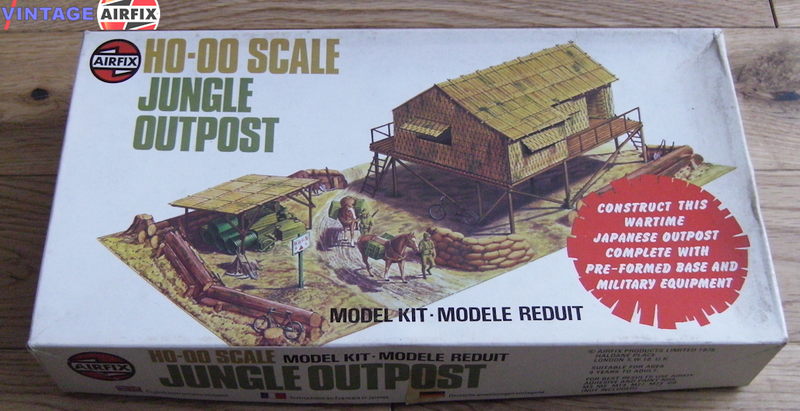 A very troubled kit, it was called "Jungle Headquaters" in all the catalogues, but was actually called Jungle Outpost on the boxes. Re-released in the 1990's without a base.